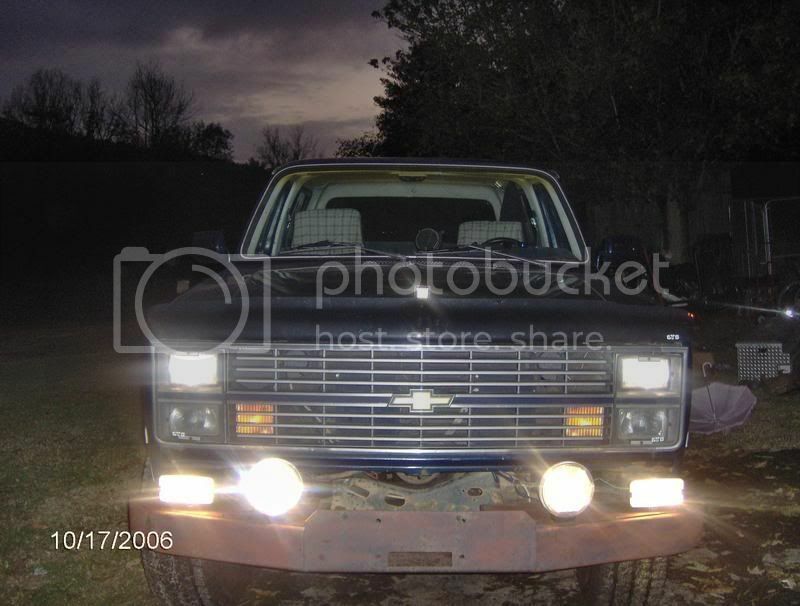 Are those single headlights? Where did you come up with those? They are. They came off a 87-89 Celebrity and after a little trimming on the bezels, viola! Aren't you the one selling the 82 2wd grey in color? 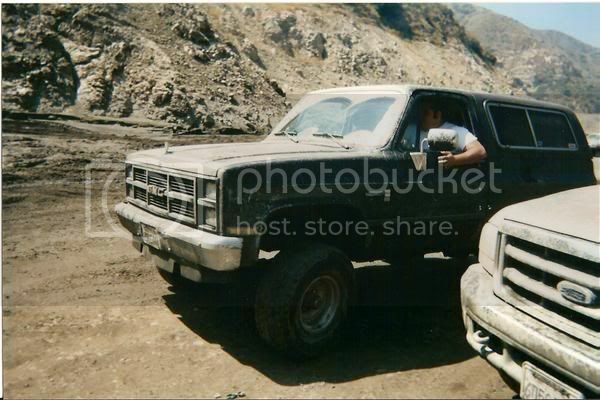 I'm looking for a 2wd resto project for when my son grows up (8-10 years). Wish you were closer so I could come by and check it out. 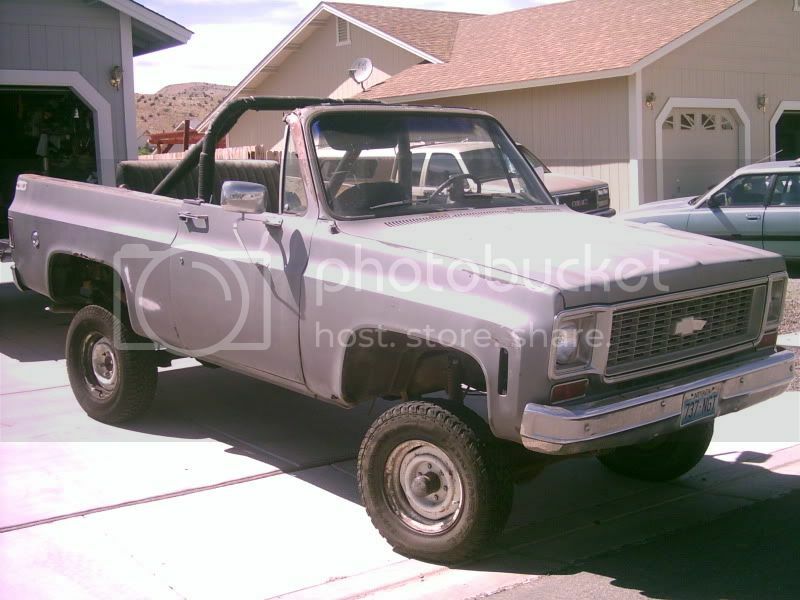 I cant seem to find one here local and I was thinking of getting a 4x (plentyful here) and swapping in a 2wd suspension and rear axle, not sure yet tho'.. 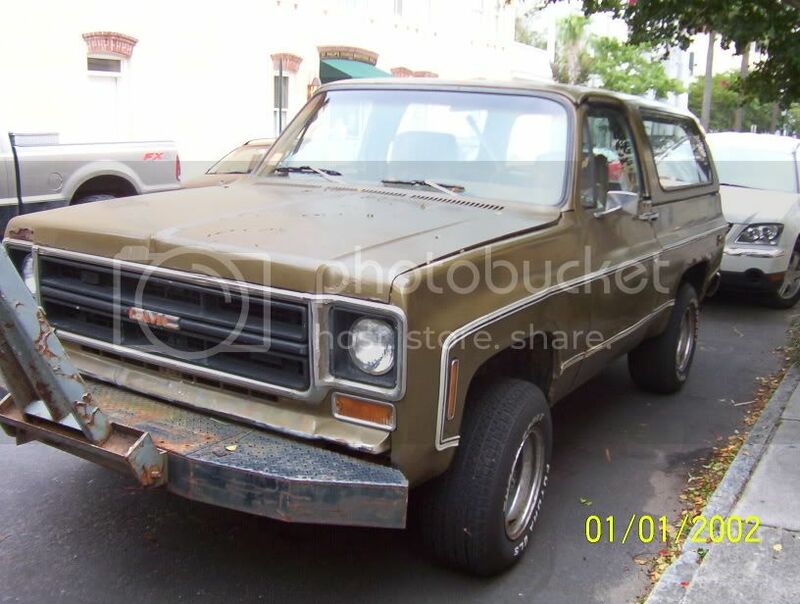 I am selling a '81 2wd Blazer that is in primer. I haven't gotten much feed back so I might sell my '82 that is a driver instead and sit on the '81. The swap from 4x4 to 2wd has been covered pretty good on this board but you may have to dig a little to find the info. How about a close up of the headlight to see what was involved with the trimming? a pic a found on my comp my ex wanted to see if he could fit into the fenderwell wish i had more pics of my truck with the 33x15.50's and the custom 15x15 welds looked badass..
Don't have a pic now but basically trim 1/2 inch around the inside of the trim to compensate for the size of the light. The light has 3 screws/bolts on the back so you will have to drill 3 holes for the light to bolt up. Very simple. I saw your for sale post on the 81, I wish I could come and see it although shipping would kill the deal. That would be a good starting point of a project for me..
Last edited by blazekraze; 08-19-2005 at 08:57 PM. Here it is. And it's for sale. Last edited by marianne; 09-24-2005 at 02:04 PM. Custom touches are the Late model Serpentine setup on the engine and 2002 Silverado Buckets on the inside. Need to complete the cage and install the factory tach cluster I got for it. Among all the other little things....Just a fun trail rig! Here is my 79 4X4. Pretty new to me. Just got it before Christmas. 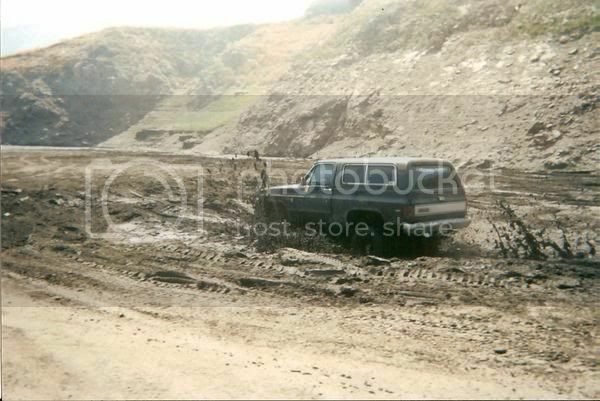 ..nothing like a Chevy fence all bought and paid for..
Re: alot of nice pics! You've got a nice truck there too! A lot of potential there! I've got two K5's a '76 and my '77 'Red Beast'. Looks like you got a 6-inch lift on it judging from the front shot. Both of mine are still works in progress. ( labor of love, you might call it ). I'm not at show quality yet, but maybe next year. My '76 is a bush beast for off road & mud though. I figure I got the best of both worlds. I'm back with 2nd truck! Here's my $500 Blazer I just picked up. It even came with extra seats from a 86-91 Blazer that I won't use and will end up selling. 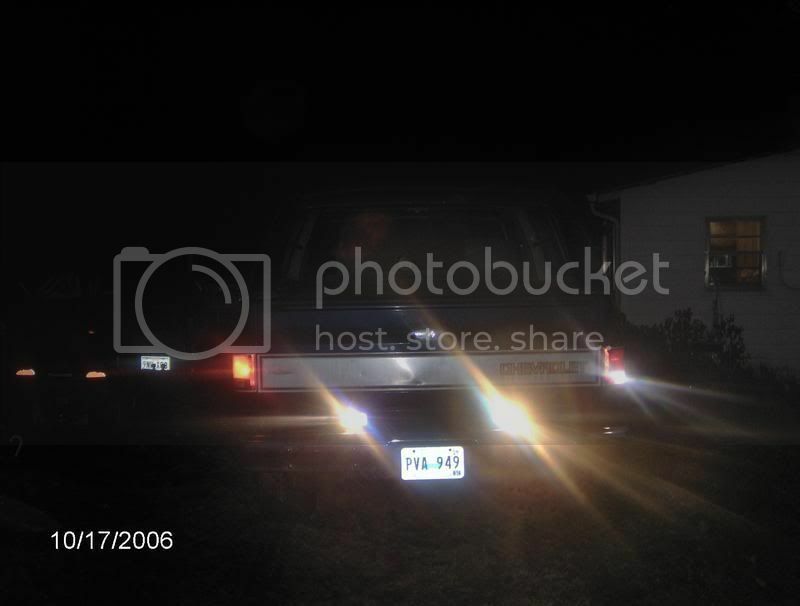 The blazer is said to have a 400 engine but I haven't ran any numbers to verify. It has almost completel interior minus carpet but the most part it's all there. I have gotten it to fire up and idle but with no mufflers and straight pipes the neighbors didn't like it. It has a Th350 and NP203. Not sure of the gear ratio on the axles yet but will crack them eventually. Right now I want to get it street legal and the rear window to work rolling up and down. It needs alot of TLC but it's nothing I'm not used since owning a 74 K-5 and a few other 73-87 trucks. The body actually has one bad spot in the rear quater panel but not bad for it's age and being a off road use truck. 1979 Chevrolet Bonanza Big10 "Tootsie Roll"
Shortly after the build was finished. My Grandfather decided to move it without the keys here. My Brother and I out playing with our K5s here. Last spring, it flooded and I'm showing the watermark on a tree in the river bottoms here. Heres my 84 GMC 6.2 Jimmy. She has dual optimas, 33s, 4" lift, banks turbo, straight pipe, EGT, Pyro, and RPM gauges. Heres my 87 K5. Every thing works on this bad boy. Hey big block what are the size of those white walls in your thread? Here's my 73 K5 Project. NOW ACCEPTING DONATIONS FOR THE RESTO! what type wheels are those ? Last edited by JESSEGALLEGOS; 01-08-2007 at 07:36 PM.